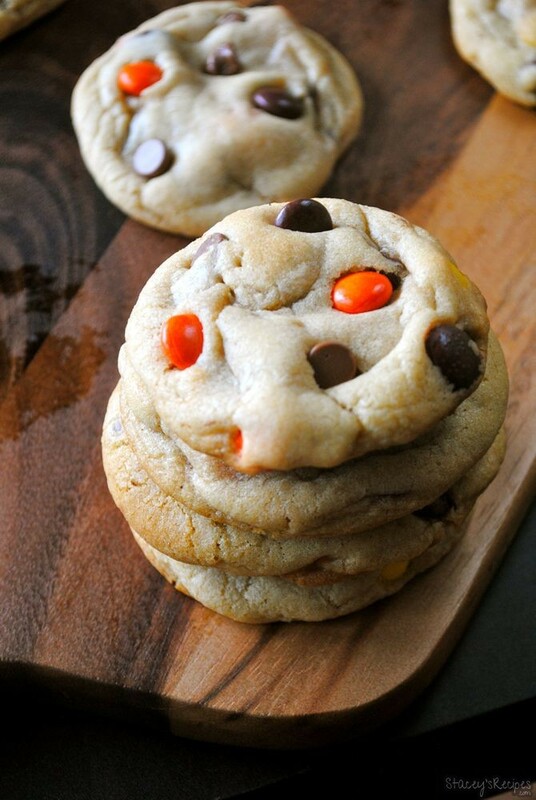 Soft Baked Reese’s Pieces Chocolate Chip Cookies. 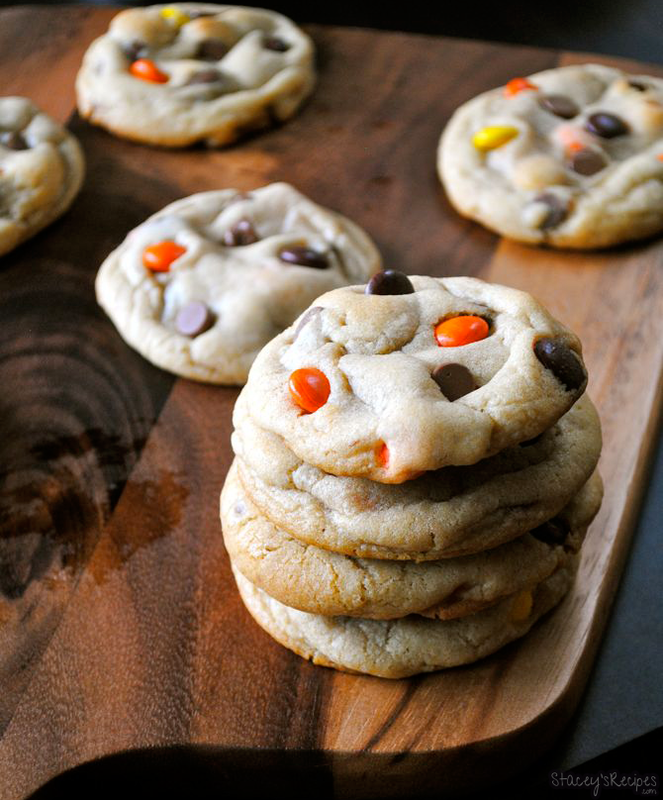 The combination of peanut butter and chocolate is perfect, and so are these cookies! 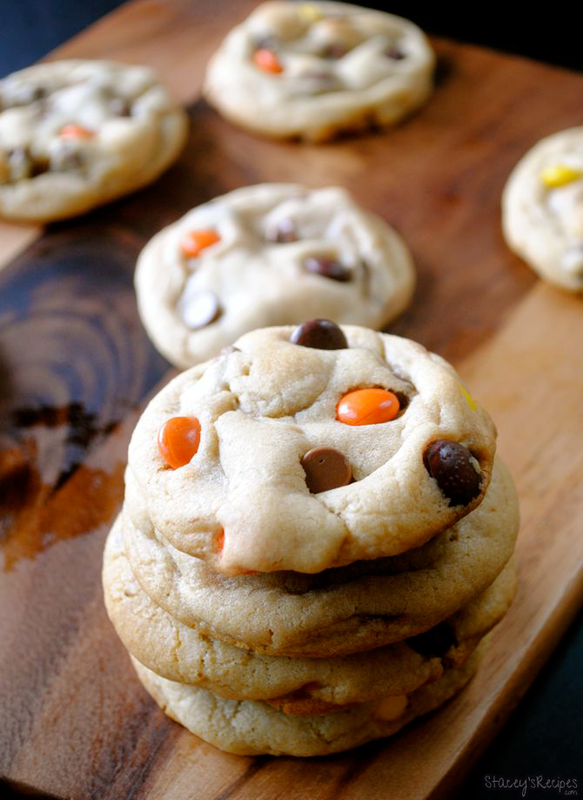 These cookies are so chewy – they taste like they’re just come out of the oven on the second day! 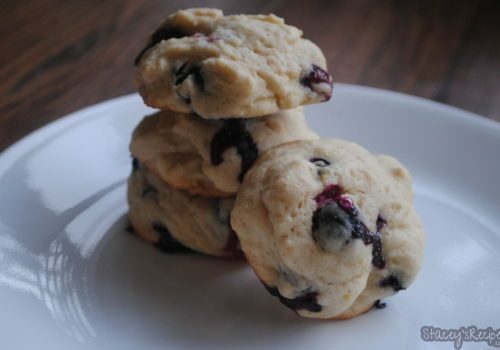 This dough is easy to whip up with no mixer. Although you do have to chill the dough for 2 hours, I feel like after I’ve cleaned up my mess there is always something to keep me busy for the rest of the time. 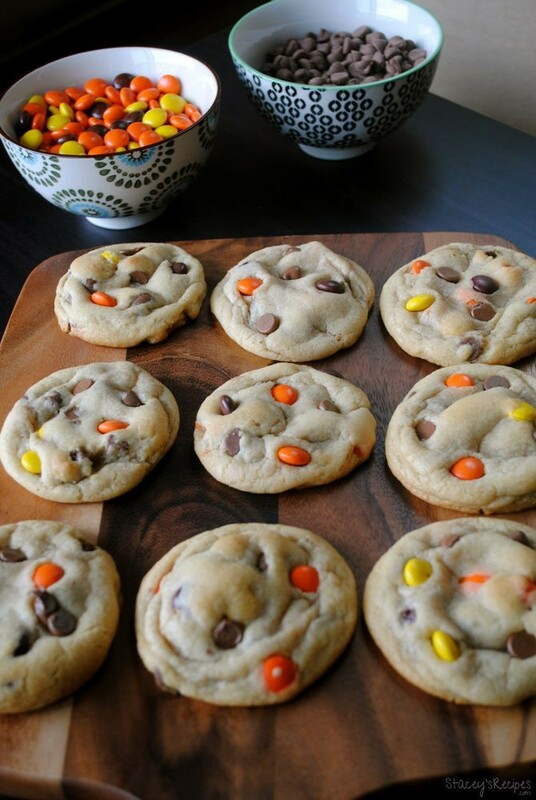 I actually made the dough during half time of the World Cup on Sunday, and once the second half was over – and we got over the fact that Germany won – these cookies were ready to be baked! 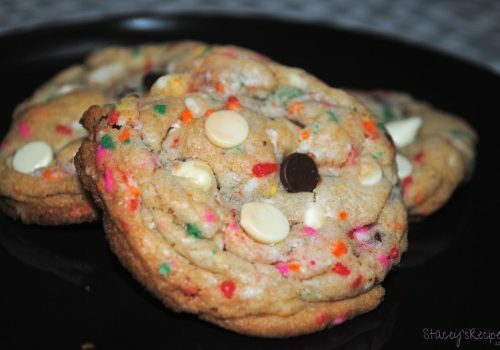 If you want a thick cookie – like pictured below – I like to roll my cookie dough taller rather than wider so it doesn’t spread too much when baking. 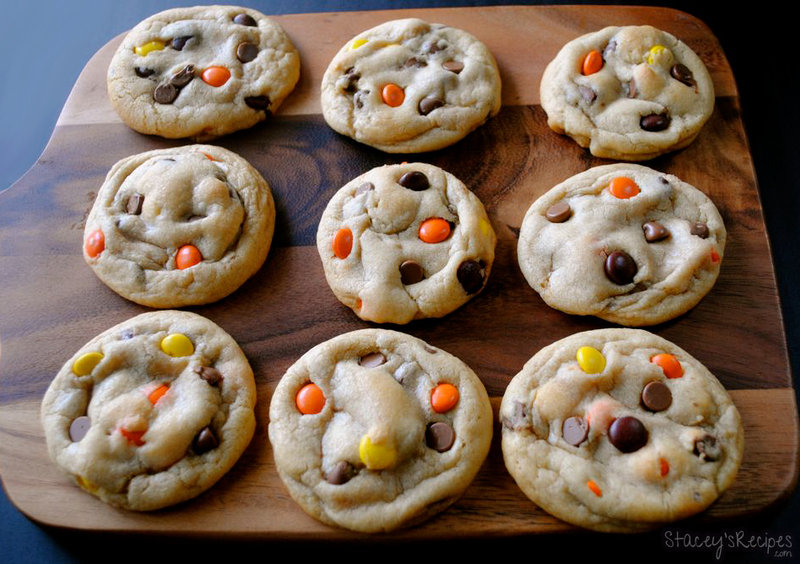 If you don’t want to bake the full batch of cookies right away, after you’ve chilled the dough roll them out into your balls and place in a large ziplock baggy and freeze – just remember when you bake them from frozen to leave them in the oven just for a minute longer than usual. 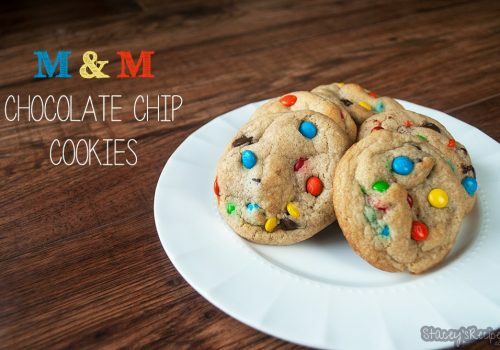 Enjoy these with a tall glass of milk, or crumbled on vanilla ice cream. 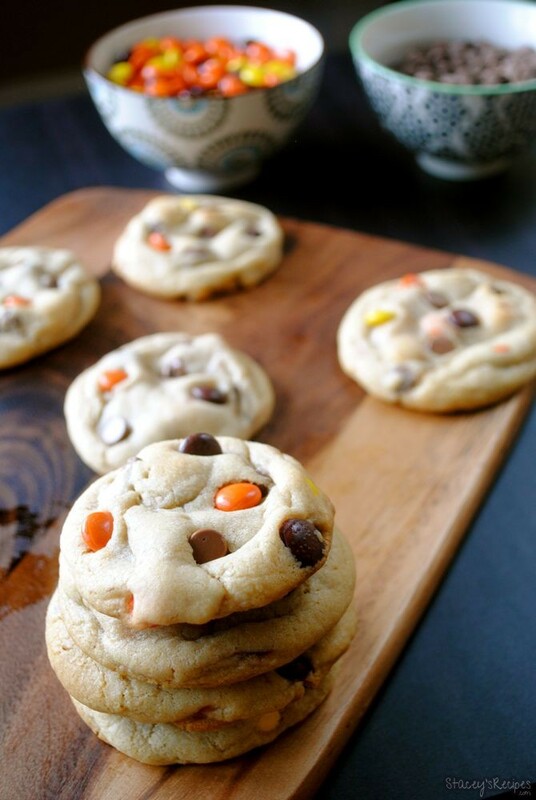 Either way you are going to love these thick, soft baked chocolate chip cookies that are stuffed with Reese’s Pieces! In a medium bowl whisk together the melted butter, brown sugar and white sugar until no clumps remain. 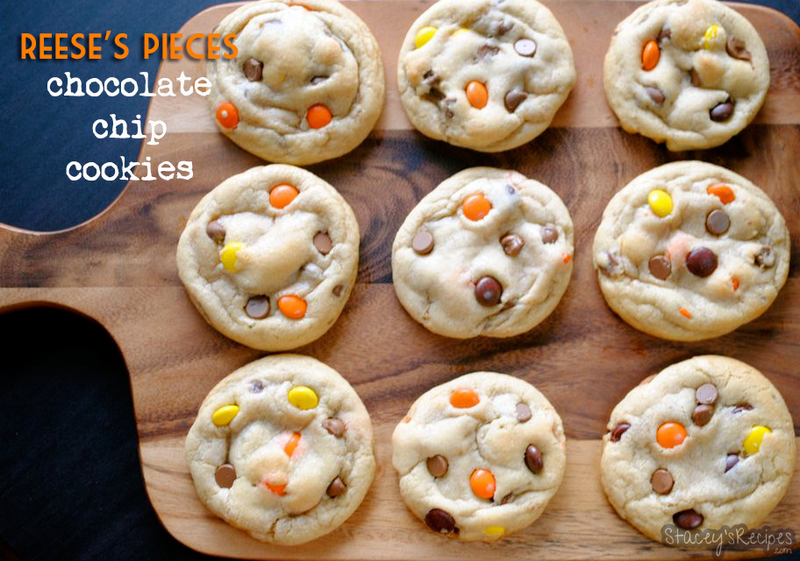 Fold in your Reese's Pieces and chocolate chips. Cover your dough and chill in the fridge for 2 hours, or overnight - chilling is mandatory. 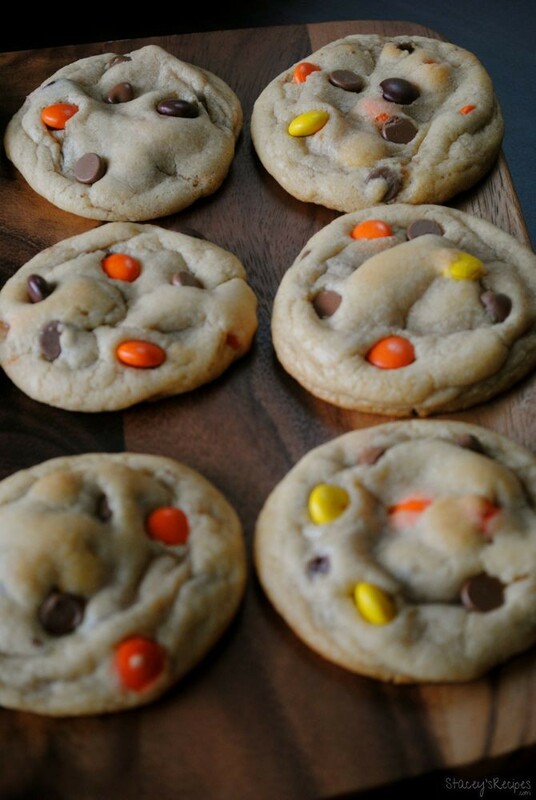 Bake the cookies for 11-12 minutes - they will look under baked but they will continue to bake on the cookie sheet. 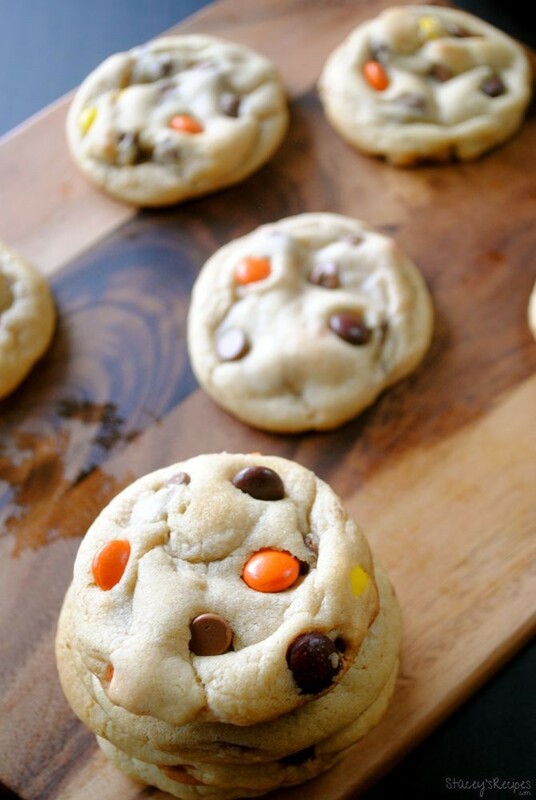 Once you've removed your cookies from the oven you can press a few Reese's Pieces or chocolate chips into your cookies to make them pretty, although this is optional. Store in an air tight container for up to 7 days, or will freeze up to 3 months. Glad you liked them Billy Joe! 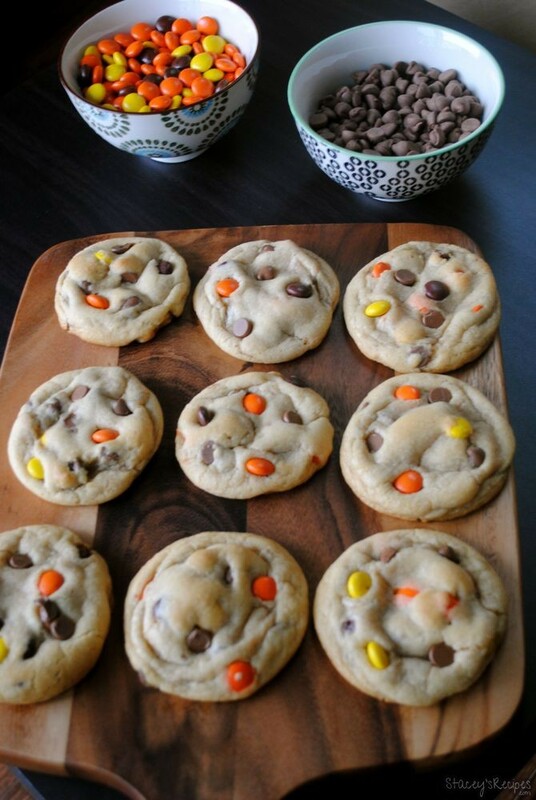 I had some leftover Reese’s pieces from Easter and couldn’t figure out what to do with them, found this recipe googling around and they were so perfect! 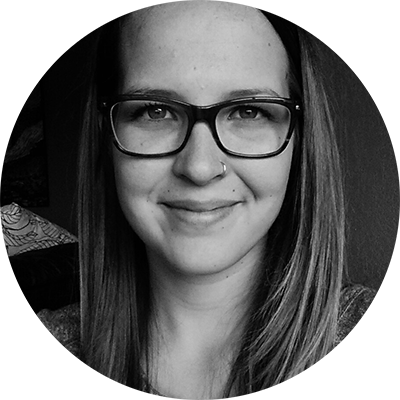 I’m so glad you liked them Alexandra!